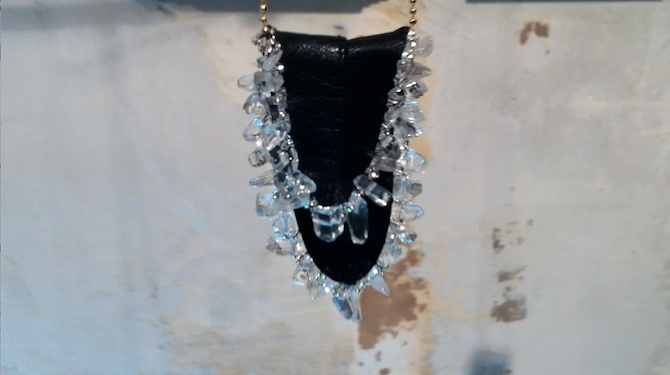 Crystals are making a comeback! 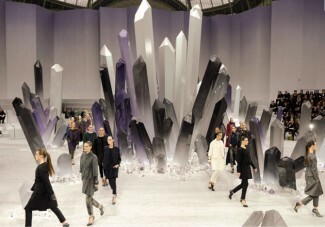 No longer relegated to the realm of hippies and ashram lovers, the fashion pack seems to be discovering Crystal Power. 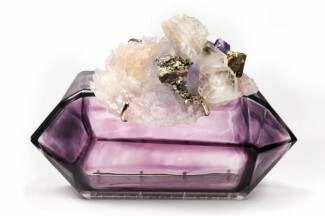 I came back to New York curious — would I start seeing crystals everywhere? Wait! Hold on a sec! 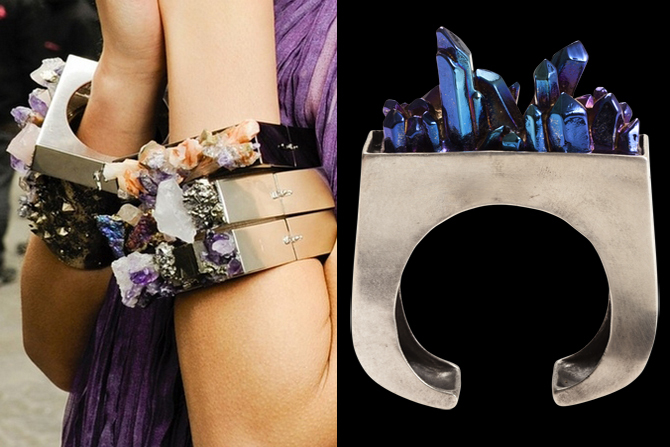 Those bracelets looked awfully familiar…. Apparently I wasn’t the only person who noticed. 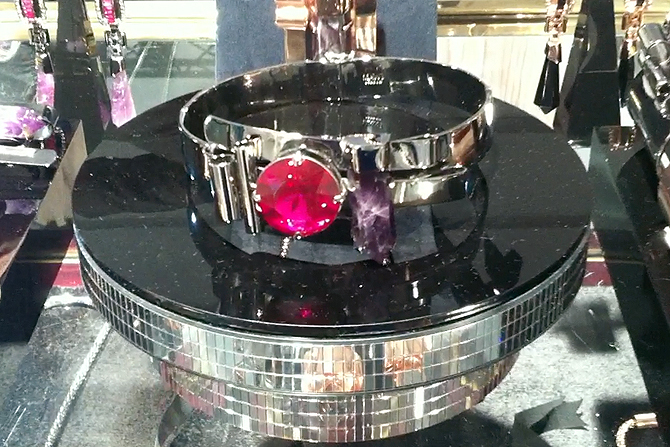 Word is that both Pamela Love and Chanel were inspired by the same photo of a crystal cuff from the 70′s. 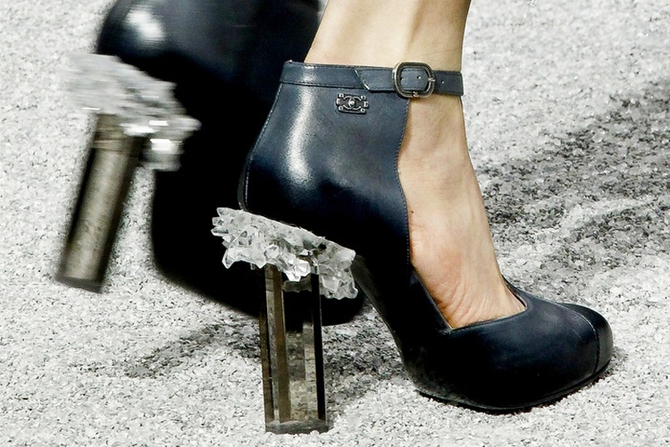 Love’s cuffs were part of her FW 2011/2012 collection, so Chanel, being the classy folks that they are, acknowledged the similarity and quickly removed the bracelets from the line. I’m guessing we’re all looking for a little Crystal Magic. Let the healing begin!